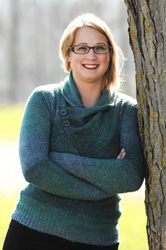 Kristen is a graduate from University of Guelph’s Ecology program with an area of emphasis in Resource Conservation. Since joining the D&A team in 2013, Kristen has been involved with a variety of projects involving plant identification, aerial photo interpretation, Marsh Monitoring Program surveys, GIS mapping and the management of large natural heritage datasets. Over the past year Kristen has gained extensive experience in Ecological Land Classification and Arborist Assessments through assisting senior staff.